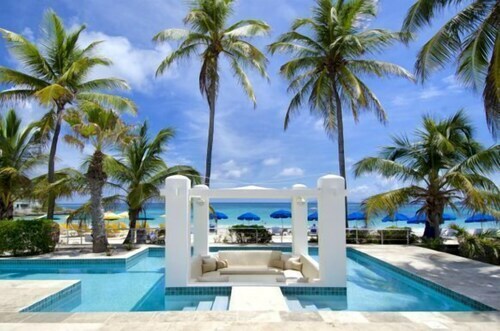 Occupying a nearly 6-acre peninsula between a bay called Oyster Pond and the Atlantic Ocean, this secluded St. Maarten, Dutch-side resort lies on the island's eastern shore at the Dutch-French border. 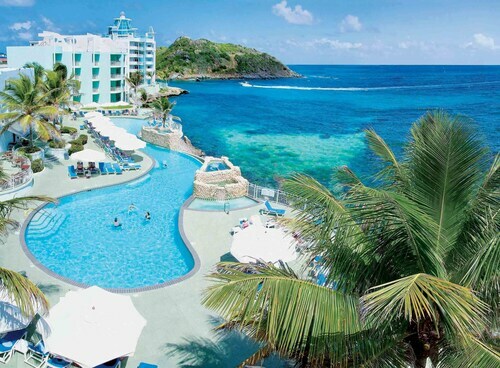 This 51-suite, family-operated hotel on the Dutch side of St. Maarten is located in the hillsides of Dawn Beach, within a short distance from a white sand beach, casino, and restaurants. Nestled on the beach, this Oyster Pond villa is within 3 mi (5 km) of Dawn Beach, Guana Bay Beach, and Museum of Sint Maarten. Orient Bay Beach and Great Bay Beach are also within 6 mi (10 km). 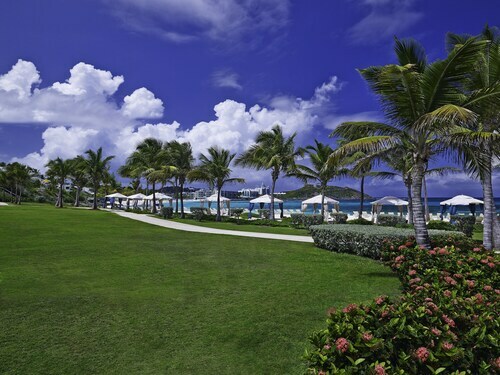 Nestled into a lush hillside fronted by the white sands of beautiful Dawn Beach, this St. Maarten luxury resort offers gracious service and upscale amenities within a serene Caribbean atmosphere. 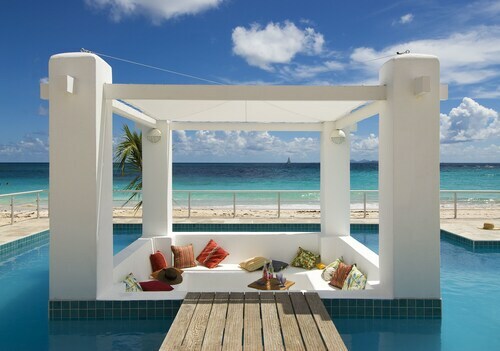 Located in Oyster Pond, this villa is 1 mi (1.6 km) from Dawn Beach and 2.1 mi (3.4 km) from Guana Bay Beach. Orient Bay Beach and Sint Maarten Zoo are also within 6 mi (10 km). 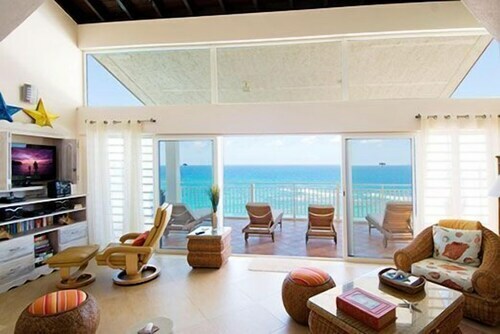 Located in Oyster Pond, this villa is 0.9 mi (1.5 km) from Dawn Beach and 2.9 mi (4.7 km) from Guana Bay Beach. Orient Bay Beach and Sint Maarten Zoo are also within 6 mi (10 km). Nestled on the beach, this Oyster Pond resort is 0.1 mi (0.1 km) from Dawn Beach and 1.6 mi (2.6 km) from Guana Bay Beach. Orient Bay Beach and Great Bay Beach are also within 6 mi (10 km). 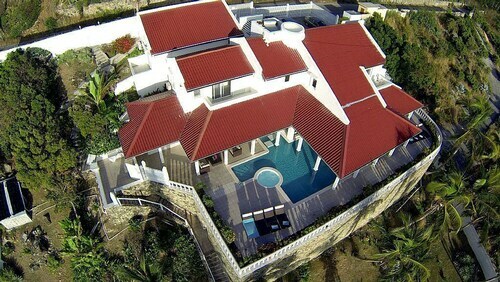 Located in Oyster Pond, this luxury villa is 0.1 mi (0.1 km) from Dawn Beach and 1.6 mi (2.6 km) from Guana Bay Beach. Orient Bay Beach and Sint Maarten Zoo are also within 6 mi (10 km).